If you regularly read or review CVs or even feel like you have a strong executive CV, writing a Board CV can be intimidating and difficult to do well. 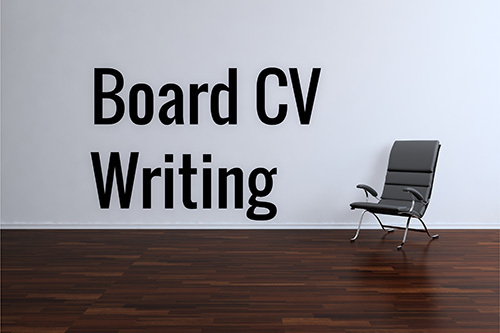 Board CV writing is a skill that I have developed over many years and today I want to take you through all the steps that will help you write an excellent Board CV that will dare them not to appoint you. Do Board CVs make a difference? They do; in fact, on some occasions, they can get you appointed. This is the feedback I received from one of my clients. Creating a CV is an exercise in succinct writing. So, don't begin with Board CV, CV, Curriculum Vitae or any such heading as the reader knows what the document is already. Instead, just start with your name – I like to bold it and make it larger than the surrounding text so it is easily read. Then you should include your contact details. These need to be easily accessible so that the busy director, Chair or recruiter doesn’t have to work hard to reach you. If they can’t find a way to easily contact you, it may just be enough for them to call someone else first. Include your mobile number, your email address, a link to your LinkedIn profile and your residential address - the latter because people take comfort in local candidates or the details. Photo or no photo? I religiously remove them from the CVs i write for my members. I do so because people spend too much time looking at your photo and not enough time considering the content. Further, photo's, whilst looking great on your computer have a tendency not to translate well to paper so your beautifully taken photo can end up making you look like a monster very easily. Beyond this your photo will bring unintended connotations - perhaps you look like the readers/decision makers daughter (too young), father (too old), ex wife (they don't get on any more), old boss (he was a jerk) etc etc. In the end I think it just safer to remove your photo. Next, you need to include your board profile. If you haven't yet you need to write this immediately. In essence, this section briefly summarises your board or committee experience (either as an executive or non-executive) and how long you have been working with or on boards. I like to write it in first person - on balance it is marginally better received I think. Don’t forget to include examples of success (statistics are best), the companies and sectors you have worked with and the scope and scale of your experience. Don’t make any aspirational statements. Also make sure to add any relevant qualifications or extra-professional successes you have had – particularly ones focused on governance. Next comes the list of your Board & Executive successes. Although it is placed early on in your Board CV, you should wait until you have finished writing all your experience before writing this section. More about this later. Next you must add a list of your Non-Executive & Committee Experience. Do it in descending order, starting with your most recent role. Do not limit your examples to just formal non-executive directorships; you can legitimately include sub-committee or committee memberships and other formal responsibilities that had a strategic or governance perspective. The sub-committee positions you have held – for example, audit, governance, remuneration or nominations committees. The key responsibilities you held as part of the board. Here, answer the question ‘why were you appointed to the board’? Include some demonstrable evidence of success at board level. I understand that you are, as a board member, part of a group where decisions are not made by you alone. You need to evidence what success your impact has had on the board and the organisation. If you find this hard to do, then think about referencing the success of the organisation during your tenure on the board. When providing evidence of success, be specific and try not to make statements that you cannot support with evidence. Remember, stating that you were a board member alone does not demonstrate that you were a good board member - only your success does this! If you haven’t had any board or committee experience, you should not include this section. Once you have gained your first appointment, you can insert it. The next section provides a bridge between your board and executive experience.It is particularly useful for individuals who do not have formal NED or Board/Committee experience. The operative word here is 'Level' - that means your experience working with and on boards in an executive capacity. Regardless of the level of experience you have had, here is the place to include the executive committee or executive board roles you have held as part of an executive role. For example, if you were a CEO but also sat on the board or reported to the board, then this is the place to include it. If you were an executive director or MD but also sat on a management committee, then include it here. Likewise, if you sat on a policy, program or an audit committee (or the like), then include it here too. Importantly, you needn’t put in anything more than the details of the executive role and the subcommittees – no need to include successes as you will do that in the Executive Experience section. If you have no formal board experience, then this is the space to work on – it can be relatively easy to gain an internal committee role as opposed to an external board role, so it can be a good way to demonstrate having some governance experience. Again, if this section is not relevant to you, then it can be removed. Following the Board Level Experience section, is your Executive Experience. This section lists, again in descending order, your executive career roles. Whilst you might be tempted to cut and paste this entirely from your executive CV, you should first edit it. You need to strip all the context and minutiae out of your CV. Focus on your successes and your strategic success. In the context of applying for a board role, the reader is going to be interested in your governance, strategic and macro experience. You should not include the level of detail about what you do on a day to day basis in this section. The sub-committee positions you have held – for example, audit, governance, remuneration, nominations committees and the success you have had on these committees. Include some demonstrable evidence of success as an executive in the organisation – think about listing the reasons you would provide to argue for a pay rise or a bonus. Be as specific as possible and include statistics or numerical evidence. Don’t, for example, just state that you were a senior executive, as this does not demonstrate that you were a good senior executive. Once you have done this, it is time to revisit the Board and Executive Successes section. You should cherry-pick some of the most relevant or largest successes you have already included in your CV and put them here. There will be some duplication at this point but that is fine, as it will reinforce the idea that you are good at what you do and can add meaningful value to the organisation you are applying to sit on the board of. However, this is only going to be the case if you choose the right examples of success that are relevant to the reader of the CV. Listing every success you have ever had is not going to help your CV be readable, impressive or read. 7. Your Qualifications, Memberships & Extra - Professional activities. Next, you need to list both your tertiary qualifications and any professional development you might have undertaken. This is straightforward but also important, as boards are looking for both experienced and qualified directors. After your qualifications, you should list your professional memberships, special interest groups, languages spoken or relevant personal activities that might positively impact on a board appointment. The list of memberships that you have might include memberships to Governance or professional bodies. Also, list extra professional activities and personal interests. 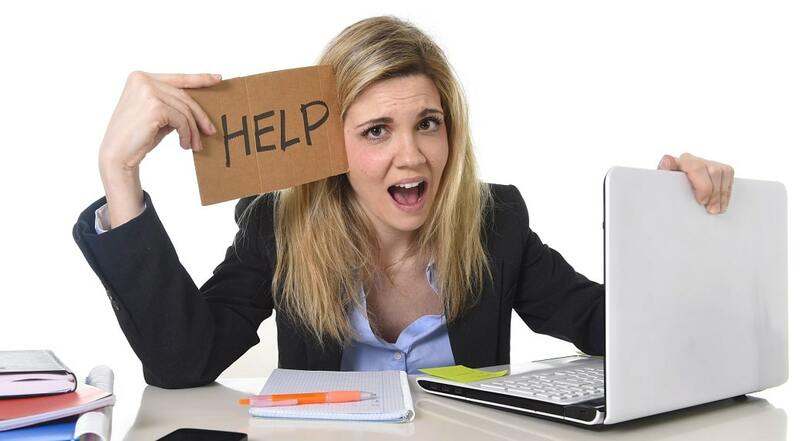 Extra professional activities are things that you have done outside of your professional life but are not purely social. For example, you may have presented at conferences, written papers, been invited as an industry expert to contribute or have been given an award. These can all be included in this section. Include, briefly, a little of your personal life – what you enjoy doing outside of work. This section is unlikely to get you appointed alone but it is always read and it is possible to gain a connection with the reader that might work in your favour. The last section lists your referees’ details. We include them here as they can influence a board when deciding to appoint or interview you. For your referees to realistically make a difference to your appointability, they should ideally be at board level and ideally a Chair. Having said that, any high-profile individual who can vouch for you can be a valuable referee. I recommend never including the contact details of your referees as you don’t want anyone to speak to them prior to you getting their permission. Be warned that, whilst I recommend using high-profile Chairs or individuals as referees, it is important that they be genuine, because the non-executive director world is a small one. If you put the name of a referee on your CV, you should assume that they will likely be spoken to informally about you. Board CV writing guidelines can help you write your own. 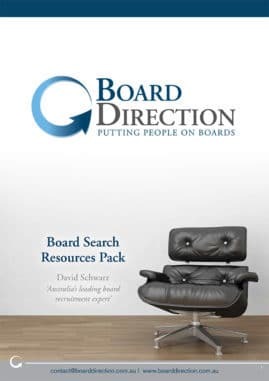 However, to give yourself the best chance to dare them not to appoint you, let us create a bespoke Board CV for you that addresses the five things Chairs look for in every prospective board candidate. To make use of our Board CV Writing service, click the button below.